Gamekeepers fingered in a controversial mountain hare film have sent an open invitation to First Minister Nicola Sturgeon to learn about hare management on their ground. Last week BBC Scotland aired a film obtained covertly by animal rights campaigners showing what they described as ‘military style’ hare culls. The broadcast led to the First Minister describing the practices in the film as ‘unacceptable’ during First Minister’s Questions at Holyrood. Now gamekeepers in the film have written to the First Minister to invite her to the highlands to see first-hand why the hare management is carried out. They feel it is wrong for Government to obligate land managers to control deer populations then leave high populations of hares to graze the same habitats. A number of protected sites exist on the ground and gamekeepers possess correspondence from statutory agencies outlining the value of their control of grazing in improving site condition. Transparent records showing hares taken compared to population numbers will be made available to the First Minister, with Environment Secretary Roseanna Cunningham also being invited to the highlands. Head Gamekeeper for one of the estates concerned, Duncan MacKenzie, said: “We’d really like to be able to show the First Minister around rather than discuss these issues in Edinburgh. I think it would be beneficial for everyone to get an understanding of why the hares need to be managed, here. “We had SNH out a few years ago to see how the hare populations were being controlled. We invited them out recently also, so nothing is being hidden. “We have good records of the amount of hares in comparison to the amount we have taken off the hill, covering a number of years, and there are still high numbers of hares on the ground. secretly filmed carrying out a legal management activity which is no different to other forms of species management and is well within the laws passed by Scottish Government. “The ironic thing is that those who are seeking the end of grouse management would also be signalling the beginning of the end for the mountain hare in Scotland. 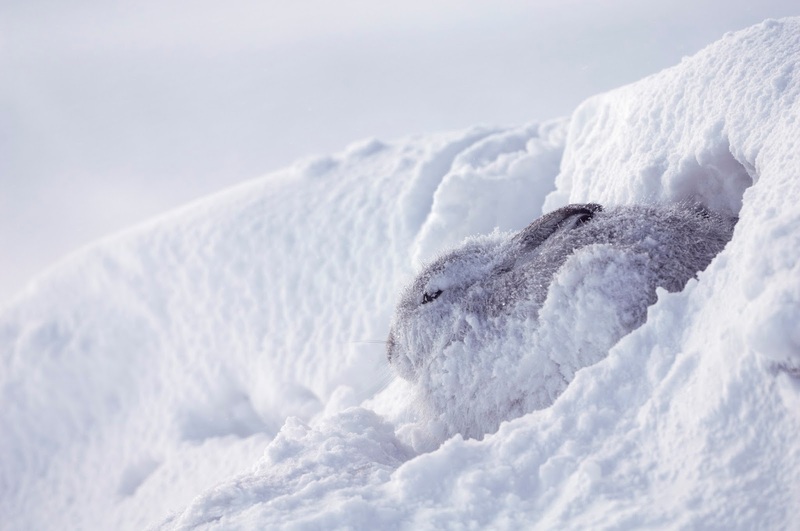 New methods of counting mountain hares were published by SNH on 26th January and those methods are to be adopted by the estates to inform all future hare management operations.